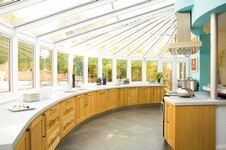 Extending or converting your home is cheaper than moving and will leave you with stunning results. Create the space your lifestyle demands.From basement and garage conversions to stylish outdoor annexes for additional living quarters- here you can find specialists who can advise you through each and every step. In the current economic climate we’d all like to stop wasting energy and save some money. Do you have any relevant content for this page? Get in touch for special rate advertising for the site. Perhaps you are looking for a new work surface, a more economical plumbing system or wanting to remodel you living space. When designing and installing a new bathroom, you'll be faced with countless decisions that will ultimately determine the success of your project. Create an outdoor space that you’ll want to spend time in, whether you are looking to create an outdoor entertaining space or a simple rural garden. You may even find that improving your garden could add value to your property. Whether you're looking to add space to your home or increase the value of your property, changing the design or layout of your house is a major investment. If you're looking to create an extension, convert your loft or re-configure your internal space.